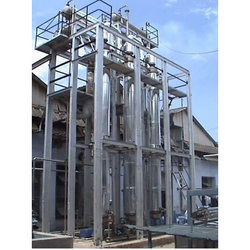 Pioneers in the industry, we offer multi effect evaporator plant and evaporation plants from India. 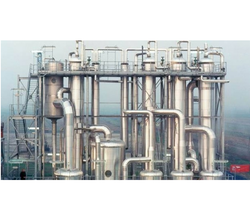 We are very glad to introduce ourselves as a leading service provider of multi effect evaporator plant operation. The engineers and technicians at our premises are well aware of the evaporator plant operation and assist us in execution of these services. They stringently adhere to industry standards in the process and ensure that the services meet the exact demands of clients. Our services are characterized by reliability, hassle free and cost effective. We provide skilled and trained manpower for the operation & maintenance of the evaporator plants. This is a custom designed chamber which is spherical or cylindrical as per requirement.System can be designed as per user requirement.It consists of: Chamber Electrode assembly Substrate heater with temperature controller Gate valve Gas flow assembly Frame for mounting all the above and mounting pump controls, gauge display, etc. Thickness monitor Filament power supply We normally work with user provided pumps and gauges and sputter power supply but can also provide systems with pumps and gauges and power supplies.